Piero Cappuccilli (November 9, 1926 – July 11, 2005) was an Italian operatic baritone. Best known for his interpretations of Verdi roles, he was widely regarded as one of the finest Italian baritones of the second half of the 20th century. He was enormously admired within the field of opera for his rich and abundant voice, fine vocal technique and exceptional breath control. In the great Italian tradition he fused words and music into elegant phrases. He focused on Italian repertory, particularly the operas of Verdi, singing 17 major roles. Trieste is a city and a seaport in northeastern Italy. It is situated towards the end of a narrow strip of Italian territory lying between the Adriatic Sea and Slovenia, which lies almost immediately south and east of the city. It is also located near Croatia some further 30 kilometres (19 mi) south. An architect is a person who plans, designs and reviews the construction of buildings. To practice architecture means to provide services in connection with the design of buildings and the space within the site surrounding the buildings that have human occupancy or use as their principal purpose. Etymologically, architect derives from the Latin architectus, which derives from the Greek, i.e., chief builder. The Teatro Nuovo is a theater in Milan, located on the Piazza San Babila in the lower level of the Palazzo del Toro. The theater, designed by architect Emilio Lancia, was the project of the impresario Remigio Paone. It was inaugurated on 22 December 1938 with a performance of Eduardo De Filippo's comedy Ditegli sempre di sì. Pagliacci is an Italian opera in a prologue and two acts, with music and libretto by Ruggero Leoncavallo. It is the only Leoncavallo opera that is still widely performed. Opera companies have frequently staged Pagliacci with Cavalleria rusticana by Mascagni, a double bill known colloquially as 'Cav and Pag'. Cappuccilli was highly respected as a "Verdi baritone", where his beautiful voice, fine vocal technique, musical elegance and dignified stage presence were shown to their best advantage. Maria Callas, Commendatore OMRI was an American-born Greek soprano. She was one of the most renowned and influential opera singers of the 20th century. Many critics praised her bel canto technique, wide-ranging voice and dramatic interpretations. Her repertoire ranged from classical opera seria to the bel canto operas of Donizetti, Bellini and Rossini and further, to the works of Verdi and Puccini; and, in her early career, to the music dramas of Wagner. Her musical and dramatic talents led to her being hailed as La Divina. 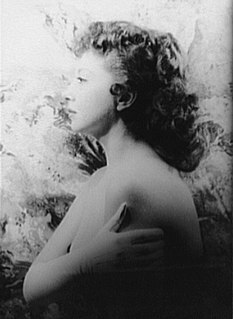 Beverly Sills was an American operatic soprano whose peak career was between the 1950s and 1970s. He is survived by his wife, Graziella; three children, Patrizia, Giovanni and Pier Paolo; and two grandchildren, according to the Trieste newspaper. La Gioconda , with Maria Callas, Fiorenza Cossotto, Pier Miranda Ferraro, Ivo Vinco, conducted by Antonino Votto, Columbia/EMI 1959. Lucia di Lammermoor, with Maria Callas, Ferruccio Tagliavini, conducted by Tullio Serafin, Columbia/EMI 1959. La Wally , with Renata Tebaldi, Mario Del Monaco, Justino Díaz, conducted by Fausto Cleva, Decca 1968. Il barbiere di Siviglia, with Margherita Guglielmi, Antonio Cucuccio, Giuseppe Valdengo, Silvano Pagliuca, Supraphon 1969. La forza del destino , with Martina Arroyo, Carlo Bergonzi, Ruggero Raimondi, conducted by Lamberto Gardelli, EMI 1969. Lucia di Lammermoor, with Beverly Sills, Carlo Bergonzi, Justino Díaz, conducted by Thomas Schippers, EMI 1970. Il pirata , with Montserrat Caballé, Bernabé Martí, Ruggero Raimondi, conducted by Gianandrea Gavazzeni, EMI 1970. Carmen , with Anna Moffo, Franco Corelli, Helen Donath, conducted by Lorin Maazel, Eurodisc/Cetra 1970. Andrea Chénier (film-TV), with Franco Corelli, Celestina Casapietra, conducted by Bruno Bartoletti, RAI-Milano 1973. Simon Boccanegra, with Katia Ricciarelli, Ruggero Raimondi, Plácido Domingo, conducted by Gianandrea Gavazzeni, RCA 1973. Aida, with Montserrat Caballé, Plácido Domingo, Fiorenza Cossotto, Nicolai Ghiaurov, conducted by Riccardo Muti, EMI 1974. Un ballo in maschera , with Martina Arroyo, Plácido Domingo, Fiorenza Cossotto, conducted by Riccardo Muti, EMI 1975. I masnadieri , with Montserrat Caballé, Carlo Bergonzi, Ruggero Raimondi, conducted by Lamberto Gardelli, Philips 1975. I puritani, with Joan Sutherland, Luciano Pavarotti, Nicolai Ghiaurov, conducted by Richard Bonynge, Decca 1975. Macbeth, with Shirley Verrett, Nicolai Ghiaurov, Plácido Domingo, conducted by Claudio Abbado, DG 1976. Il trovatore, with Franco Bonisolli, Leontyne Price, Elena Obraztsova, Ruggero Raimondi, conducted by Herbert von Karajan, EMI 1977. I due Foscari , with José Carreras, Katia Ricciarelli, Samuel Ramey, conducted by Lamberto Gardelli, Philips 1977. Cavalleria Rusticana , with Júlia Várady, Luciano Pavarotti, conducted by Gianandrea Gavazzeni, Decca 1977. Simon Boccanegra, with Mirella Freni, José Carreras, Nicolai Ghiaurov, conducted by Claudio Abbado, DG 1977. Don Carlo, with José Carreras, Mirella Freni, Nicolai Ghiaurov, Agnes Baltsa, conducted by Herbert von Karajan, EMI 1978. Aida, with Mirella Freni, José Carreras, Agnes Baltsa, Ruggero Raimondi, conducted by Herbert von Karajan, EMI 1979. Rigoletto, with Ileana Cotrubaş, Plácido Domingo, Nicolai Ghiaurov, Elena Obraztsova, conducted by Carlo Maria Giulini, DG 1979. Nabucco, with Ghena Dimitrova, Evgeny Nesterenko, Plácido Domingo, conducted by Giuseppe Sinopoli, DG 1982. Sherrill Milnes is an American dramatic baritone most famous for his Verdi roles. From 1965 until 1997 he was associated with the Metropolitan Opera. His voice is a high dramatic baritone, combining good legato with an incisive rhythmic style. By 1965 he had made his debut at the Metropolitan Opera. His international debuts followed soon thereafter, and Milnes became one of the world's prominent Verdi baritones of the 1970s and 1980s. Nicolai Ghiaurov was a Bulgarian opera singer and one of the most famous basses of the postwar period. He was admired for his powerful, sumptuous voice, and was particularly associated with roles of Mussorgsky and Verdi. Ghiaurov married the Bulgarian pianist Zlatina Mishakova in 1956 and Italian soprano Mirella Freni in 1978, and the two singers frequently performed together. They lived in Modena until Ghiaurov's death in 2004 of a heart attack. Mirella Freni is an Italian soprano whose repertoire includes Verdi, Puccini, Mozart and Tchaikovsky. Freni was married for many years to the Bulgarian bass Nicolai Ghiaurov, with whom she performed and recorded. Katia Ricciarelli is an Italian soprano. Lamberto Gardelli was a Swedish conductor of Italian birth, particularly associated with the Italian opera repertory, especially the works of Giuseppe Verdi. Franco Bonisolli was an Italian operatic tenor, particularly associated with the Italian repertory, notably as Manrico and Calaf. Vicente (Vicenç) Sardinero, né Sardinero-Puerto, was a Spanish operatic lyric baritone. Born in Barcelona, he made his debut at the Gran Teatre del Liceu in his native city in the 1964–65 season, as Escamillo in Carmen. His first appearance at the Teatro alla Scala was in 1967, as Enrico in Lucia di Lammermoor, opposite Renata Scotto, subsequently appearing there in Il trovatore (1978), I due Foscari (1980), and Falstaff. 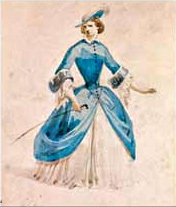 Sardinero also sang at London's Covent Garden and was often heard in zarzuela. Mario Sereni was an Italian baritone, who sang leading roles at the New York Metropolitan Opera for many years. Richard Mohr was one of RCA Victor’s most prominent producers of classical and operatic music recordings from 1943 through 1977. His producing credits included recording the casts of the world premieres of Samuel Barber's Vanessa and Gian Carlo Menotti's Amahl and the Night Visitors, as well as the first LP recordings of Ernani,Luisa Miller and Lucrezia Borgia and three versions each of Rigoletto,Aida,La Traviata and Il Trovatore. Anthony Laciura is an American operatic tenor, noted for his abilities as a comprimario, and actor. Born in New Orleans, he studied voice there with Charles Paddock, also the teacher of Ticho Parly. Verdi is a 2013 album of baritone arias by the 72-year-old Plácido Domingo, returning to the baritone register of his youth. The album, the first collection of baritone arias by the singer, was released by Sony Classics on 27 August 2013. Domingo is accompanied by the Cor de la Generalitat Valenciana and the Orquestra de la Comunitat Valenciana conducted by Pablo Heras-Casado. The album won a Latin Grammy in 2014 for Best Classical Album. Emil Tchakarov, born 29 June 1948 in Burgas, Bulgaria; died 4 August 1991 in Paris, was a Bulgarian conductor who had a career both in the concert hall and in the opera house. He also made a series of Russian opera recordings. Rino Alessi, Piero Cappuccilli: Un baritono da leggenda / The Baritone become a Legend, Comunicarte Edizioni, Trieste 2009. Grove Music Online, J.B. Steane, Oxford University Press, 2008. Opera News, Obituaries, October 2005.